The relationship between pastor and parishioner is the essence of pastoral counseling--a simple truth with profound implications. 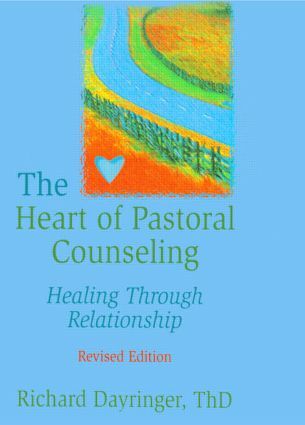 Dr. Richard Dayringer explores these implications in The Heart of Pastoral Counseling: Healing Through Relationship, Revised Edition to help pastoral counselors understand how to use the relationship to bring about the desired ends in the therapeutic process. Drawing on research from the disciplines of psychiatry, psychology, marriage counseling, family therapy, and pastoral counseling, this book lays the foundation for utilizing the pastoral counseling relationship to bring about positive change as it explores topics such as observation, listening, communication, handling transference, and termination of therapy. The Heart of Pastoral Counseling brings a solid base of research to pastoral counselors, seminary students, graduate students in counseling, professors of counseling, and specialists in pastoral psychotherapy so that you might better understand the nature of pastoral counseling relationships and how they are helpful and constructive in people’s lives. You will be challenged to rethink your role in initiating and carrying out therapeutic change and realize why you should build your ministry on relationships, rather than on friendships. Part II: How Is Relationship Used in Pastoral Counseling? Part III: What Are the Implications of Relationship for Pastors?